Communication is the action of transferring information from one point to another and is important in all aspects of work. In a workplace setting, good communication helps build stronger relationships, increase productivity, and boost morale. At Flagger Force, effective communication keeps our work zones safe and our communities moving. In pursuit of an efficient performance while on the job, trained Crew Members must learn proper nonverbal communication skills and how to use them in order to best communicate with other Crew Members and the traveling public. 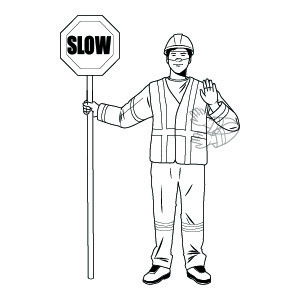 Before becoming a Flagger Force Crew Member, you must learn basic nonverbal flagging signals that help maximize communication between you and the motorists traveling through your work zone. Nonverbal communication, such as hand signals, do more than improve communication; it also reduces the risk of injury and creates an instant response between the flagger and the driver, which is crucial in safe traffic control. Flagger Force uses hand signals while flagging to compliment and aid the directions of the sign paddles. Using both the sign paddles and nonverbal flagging signals helps to clearly deliver the message being communicated from the Crew Member to the motorist. 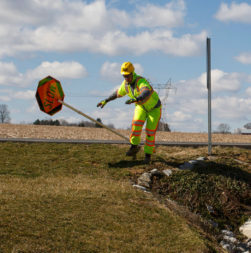 It also helps foster a safer work environment, because it creates a conversation between the field employee and the motorist that keeps the motorist more aware of what is happening in the work zone they’re approaching. 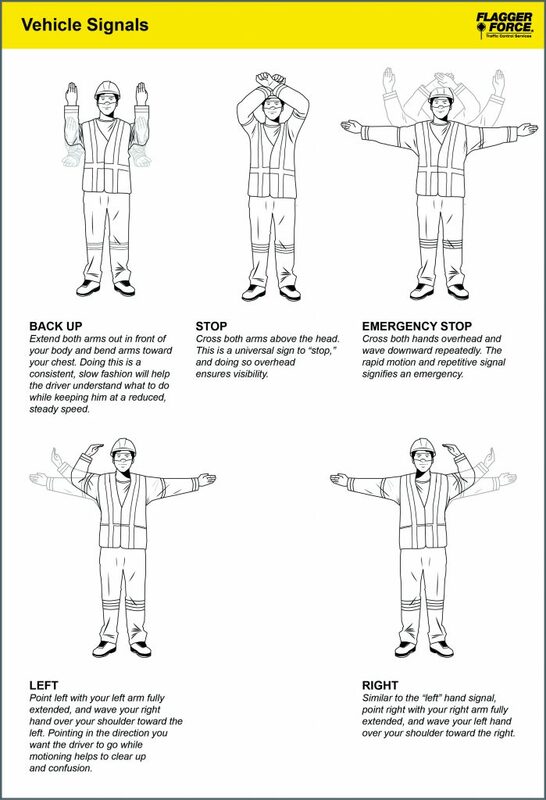 Here are some of the basic hand signals used to communicate to the traveling public. Not only are nonverbal hand signals helpful when communicating with the traveling public, they also come in handy when communicating with your crew while on a job site. 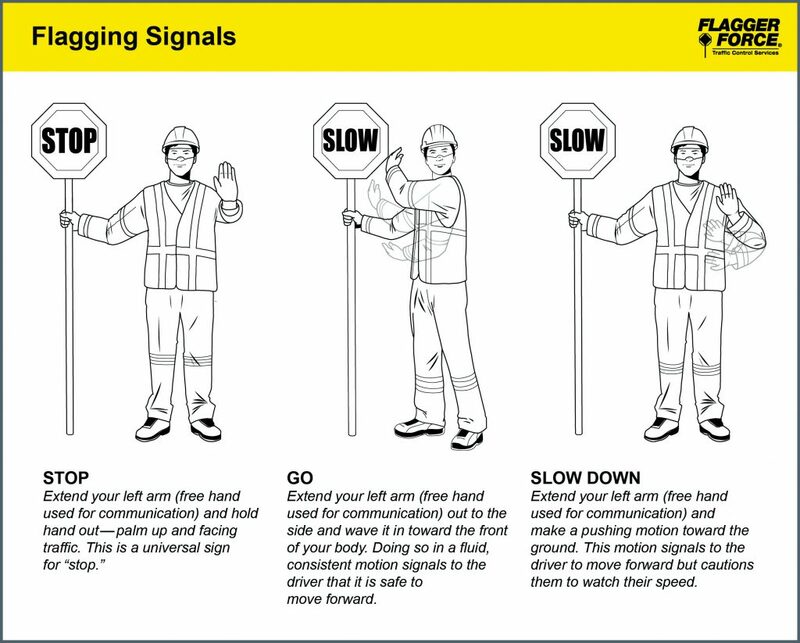 For example, Flagger Force crews must use proper nonverbal communication in order to safely navigate a vehicle. The purpose for this is to not only improve communication, but to also eliminate driver blind spots, reducing the risk of injury to the Crew Leader driving the truck and any possible damages to the vehicle itself from obstructions that can’t be seen by the driver. It’s important to remember to use a spotter when backing up, parking, or in other situations that lack visibility. Here are some examples of vehicle signals to better prepare for your next job. At Flagger Force, effective communication keeps our work zones safe and our communities moving. Using both sign paddles and nonverbal flagging signals helps to clearly deliver messages being communicated to motorists.